audit trail of SQL code. gets the job done fast. Fill in the source control repository path. Click OK, then enter credentials when prompted. 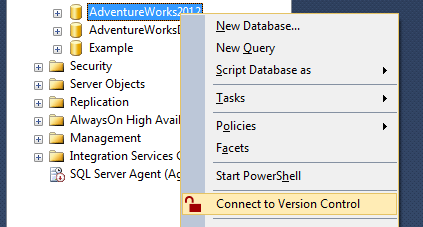 in the Object Explorer, then click Commit. 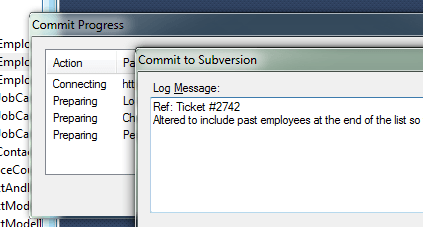 the reason for the change, then click OK.
checks them into your version control system. 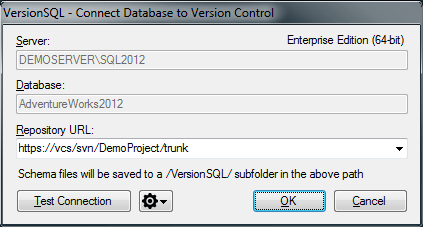 VersionSQL is the straightforward SQL Server version control add-in. 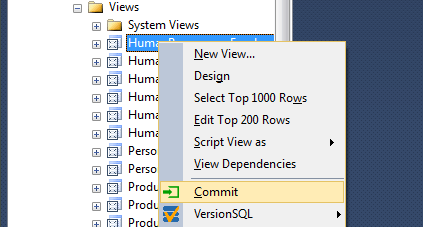 It's made to do one thing and do it well: Commit SQL to Git and Subversion source control repositories. VersionSQL works with any Git or Subversion server hosted on your internal network or in the cloud (GitHub, Atlassian Bitbucket, Visual Studio Team Services, etc.) via a secure HTTPS connection. 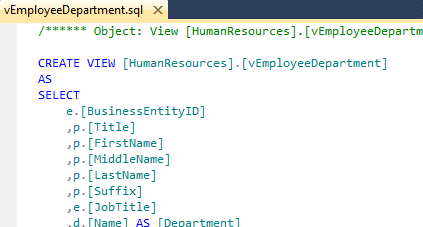 VersionSQL adds contextual commands to SSMS' Object Explorer panel for checking in an entire database, folder, or individual objects. Database code is written out to .sql script flat files, organized into folders, and sent to the version control server for safe keeping. VersionSQL Express is 100% free for use with SQL Server Express instances. No registration required. Download now! VersionSQL Professional is available for the low price of only $149 per user. Includes one free year of updates and priority support. Buy now!